We work entirely with WordPress and provide great looking sites for our clients based on either the Thesis or the Genesis frameworks. This means you get a lot of bang for your buck. You get a site that looks great, that you can update yourself and that comes packed with built-in SEO features. We also offer one on one WordPress Coaching so that you can learn how to continue to write for your site using the best in class SEO and traffic building techniques. Our service is suitable for solopreneurs, copreneurs, consultants and those wanting to start up their own affiliate or adsense businesses. This is an example of one of our designs. 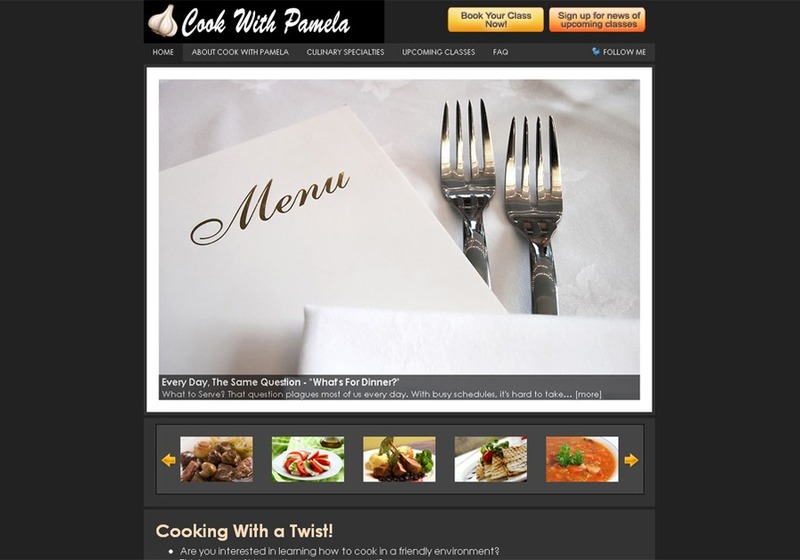 The site is called Cook With Pamela Everything we do is based on WordPress.